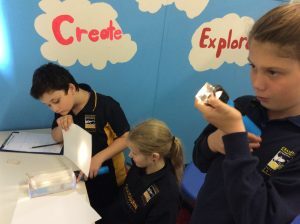 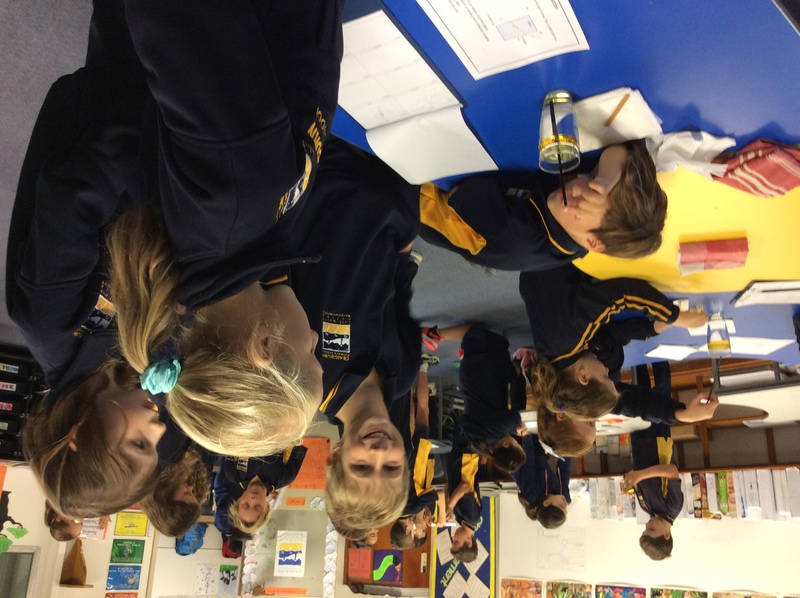 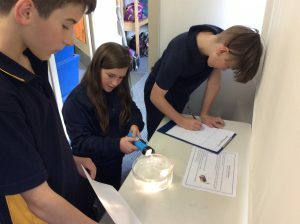 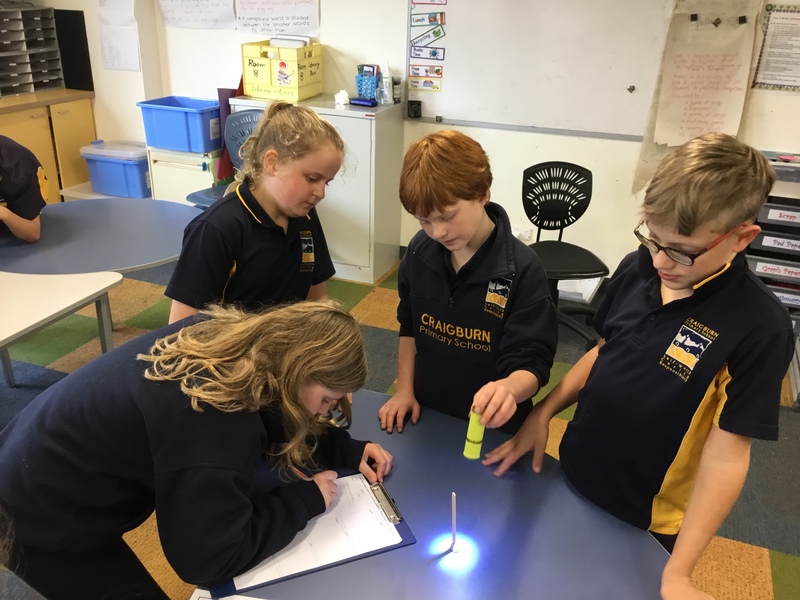 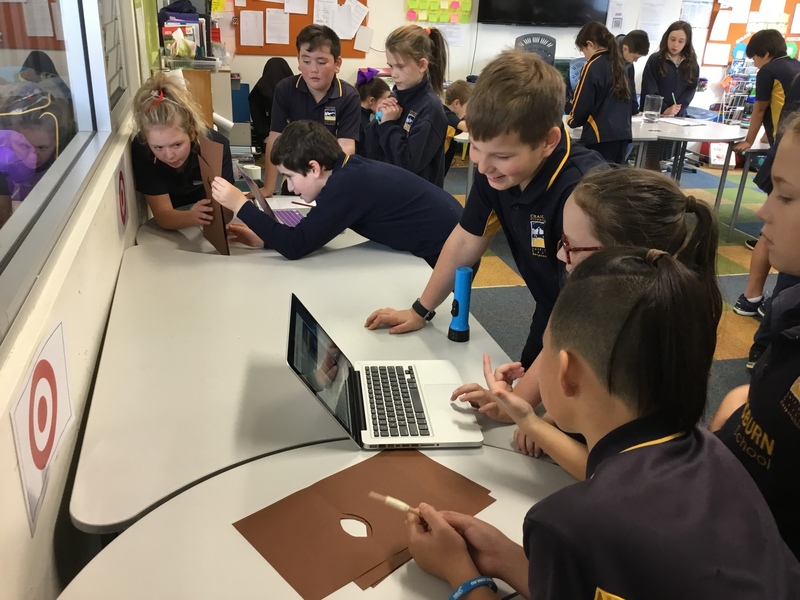 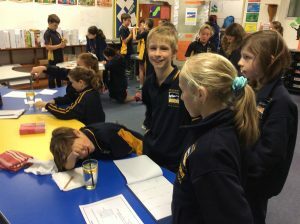 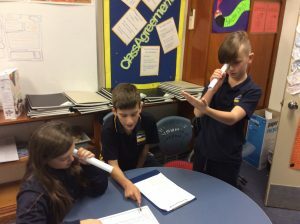 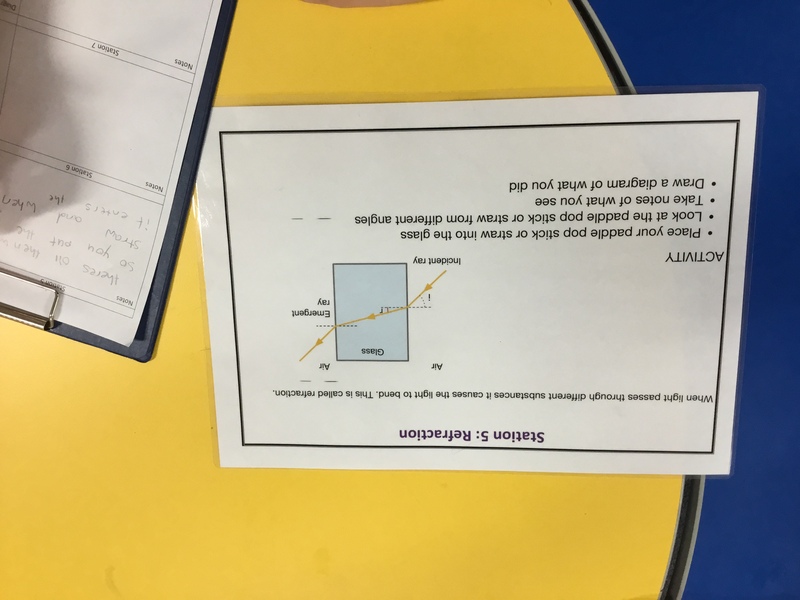 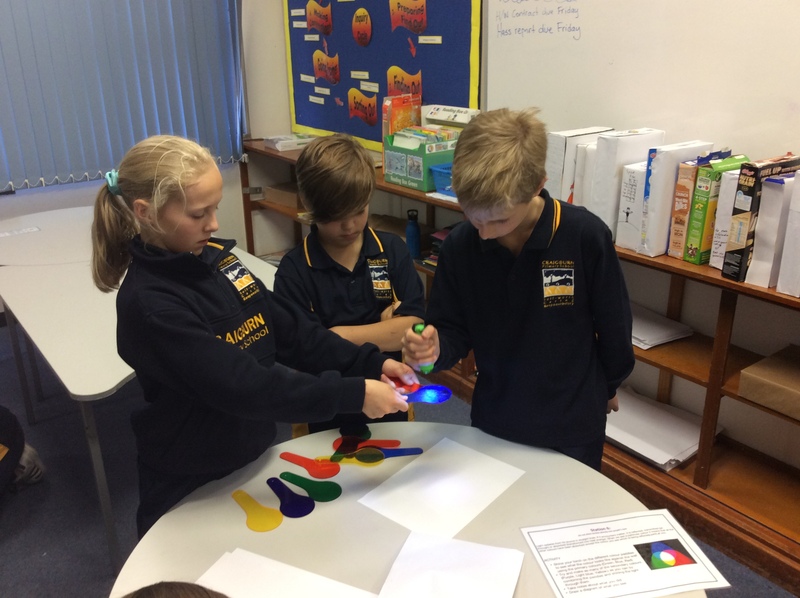 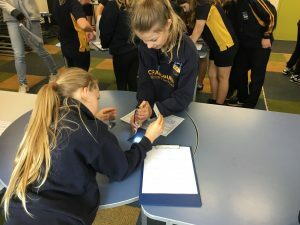 In Science last week Mrs Hepworth’s and Mrs Bellette’s Year 5 classes investigated the properties and nature of light. 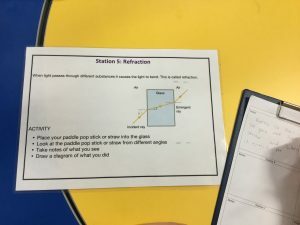 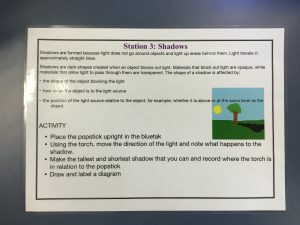 This included light travelling in straight lines from a source and how it interacts with different materials, how light can form shadows and be refracted or absorbed and how light can manipulate what we see. 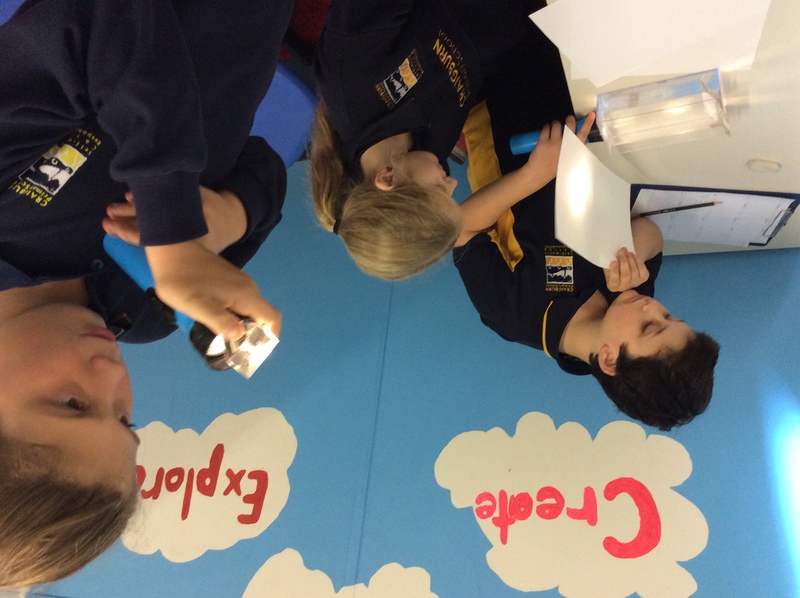 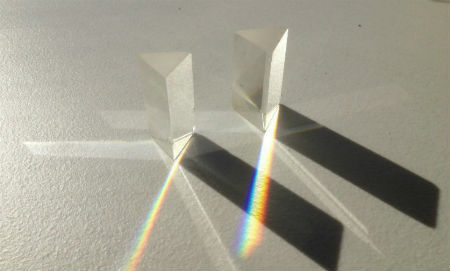 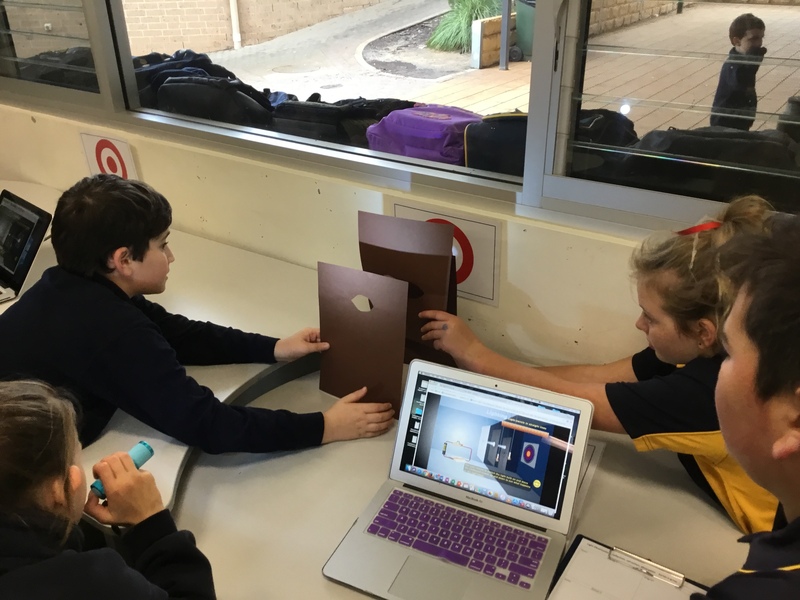 The students worked their way around 8 stations and tried different experiments to see how light can reflect, refract and absorb. 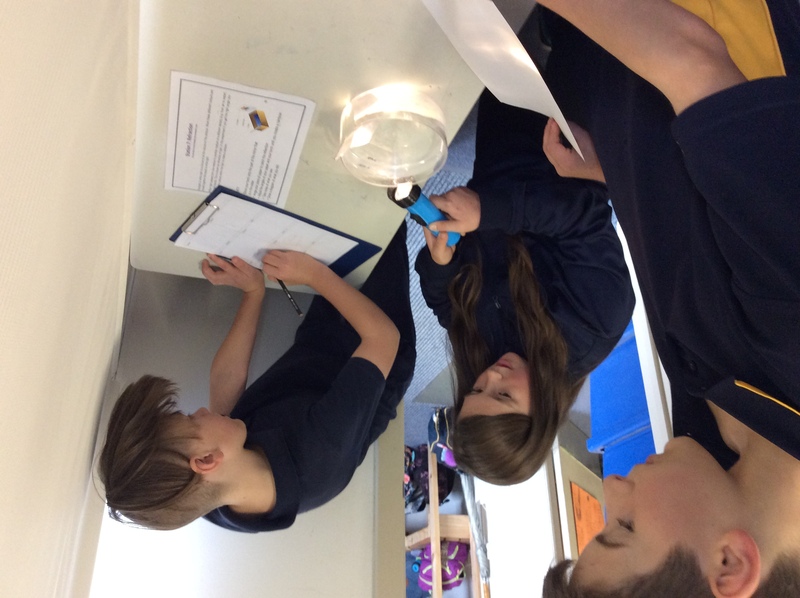 There were lots of ‘lightbulb’ moments (pun intended) as the groups read about and discovered the scientific reasons this happens. Make the tallest and shortest shadow and record where the source of light is in relation to the popstick. 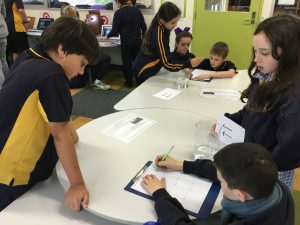 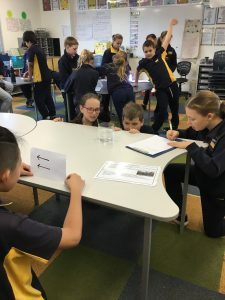 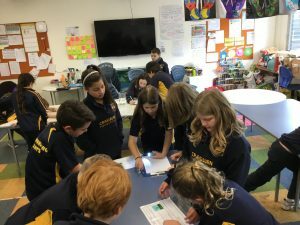 These experiments were also a great opportunity for the students to use scientific skills in investigation, note taking, prediction and questioning, team work, clarifying ideas using experiments and use scientific vocabulary to discuss and explain phenomenon .